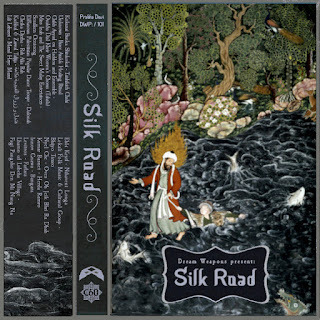 SILK ROAD started off as an attempt to piece together some music from the countries bordering that legendary passage, however, too many songs failed to fit, and I found others from different countries that worked better so it became what it is. A kind of excavation into some primitive songs and some more polished and well-recorded. Just light a shisha pipe, brew some mint tea and sit back and immerse yourself for an hour.